Device: iPhone & iPad	Category: Social Networking Price: $2.99 Company: Jumbo Advertising Released On: Jan. 30, 2014	Previous App: Log Me In! 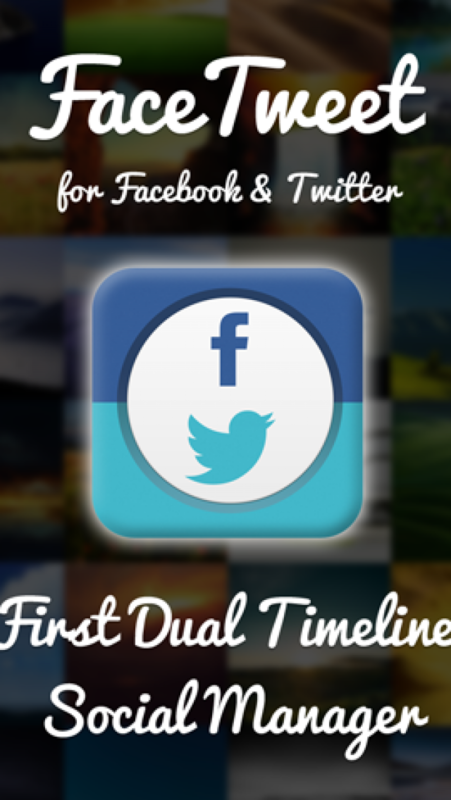 First Dual Timeline Social Manager app for Facebook and Twitter. This inovative app features two simultaneous windows so you can manage Facebook and Twitter independently at the same time. 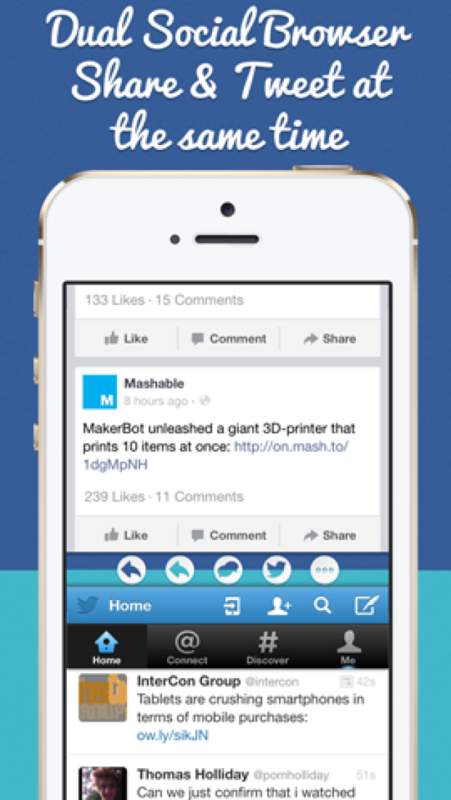 You can share on facebook and follow your twitters at the same time with FaceTweet app. 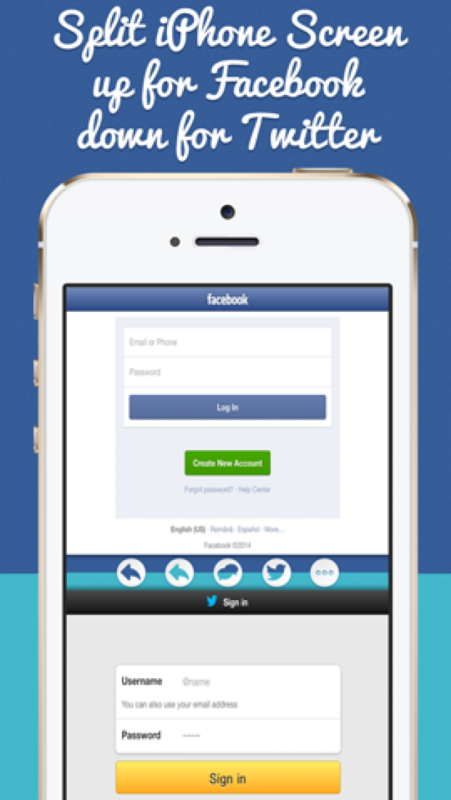 FaceTweet implements all the features found in Facebook and Twitter at the same time. FaceTweet has a qucik acces to facebook chat and quick tweet. - Dual Timeline for Facebook and Twitter. - Dual Posting on Facebook and Twitter. - All Facebook and Twitter features. - Clean iOS 7 Design.